With a knife, cut avocados lengthwise into halves and remove pit. If needed, hollow out slightly to make room for eggs. Arrange avocados in a single layer on a baking dish and sprinkle with the no salt seasoning blend. 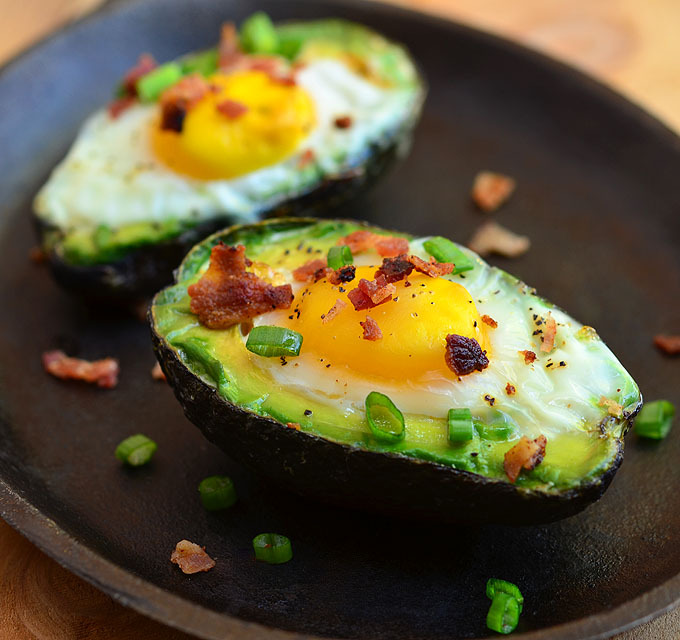 Break an egg into each avocado half and season with onion powder, salt and pepper to taste. Bake in a 425° F oven for about 10 to 15 minute or until eggs are cooked. Remove from oven and add bacon crumbles then garnish with green onions. Serve hot.